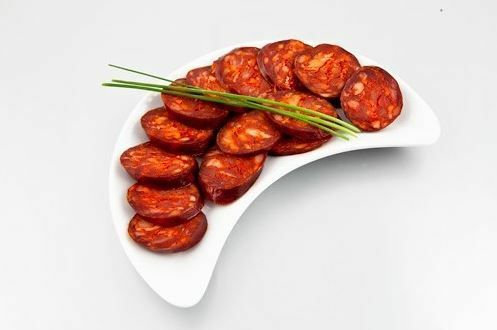 Native Spanish Tapas is proud to share one of Spain’s most recognized food: Spanish chorizo. 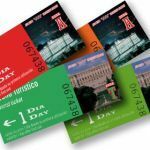 We always serve it to our customers in our best Madrid tapa tours, just as locals do in Madrid, in fact, tripadvisor bares witness to this fact, our customers come out satisfied after a nice Spanish tapas tour of Madrid with us. 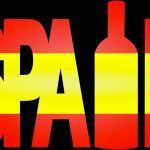 Going back to chorizo, we are going to explain how is it commercially made in Spain, without further due, we are getting hungry! Spanish chorizo is a cold-cut made from pork meat, paprika; hence the red color. 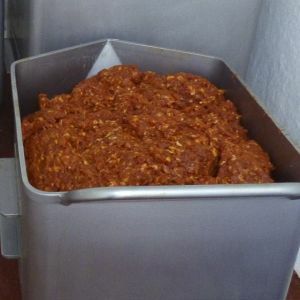 The raw meat and paprika mix is marinated in white wine along other ingredients such as clove, garlic and salt. 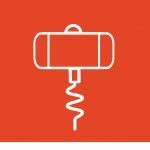 Then the raw mix is stuffed inside traditional lower intestine casing, just as any other top-quality sausage is elaborated with around the world, lower qualities use artificial casings. The meat is left for the curing process. 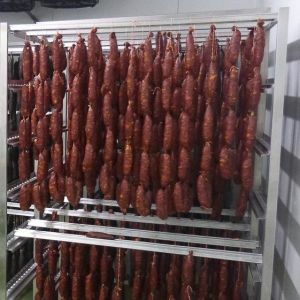 There are different levels of curing processes, fully cured Spanish chorizo are ready to be eaten after one month and a half of curing, and are usually served in cold-cut platters for a traditional Spanish tapas lunch or dinner. 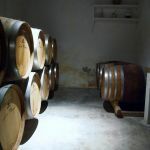 The other type is the half-cured one, these take approximately fifteen days to cure, and we recommend cooking the half-cured ones between five to eight minutes before eating them. In Spain, there are really two general types of chorizo processes: cured and smoked, cured being the most common one in Spain. 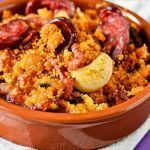 Chorizo has a lot of different varieties depending on the region, the difference in variety bowls down to what ingredients you put in the marinating process or the type of pork meat too. Today we have only seen the tip of the ice-berg of the chorizo culture in Spain, we will continue on showing you the different typs of chorizos available in Spain. Join us on one of our many Madrid tapas tours, hasta luego and see you at the table!